Dr. Campbell received her Ph.D. in Clinical Psychology from the University of Ottawa in 1996. Her doctoral dissertation, which was aimed at understanding gender differences in the association between stress, anxiety, and depression among adolescents, was supported by the Social Sciences and Humanities Research Council of Canada and was nominated for the Governor General’s Award. Dr. Campbell has worked in private practice in the Nanaimo area since 1996. She utilizes evidence-based cognitive-behavioural, educational, emotionally-focused, and experiential therapeutic interventions to assist clients in overcoming difficulties in areas such as depression, anxiety, trauma, grief, and marital/family distress. In the area of anxiety, she is particularly interested in assessing and treating Posttraumatic Stress Disorder (PTSD) and has received extensive training in this area. She also trains and supervises other mental health professionals in clinical psychology generally and in EFT (i.e., Emotionally Focused Therapy for couples and families) in particular. She is a certified EFT trainer and supervisor. In terms of forensic work, she has experience in providing assessments and treatment of injured workers and in cases of personal injury. She also has extensive experience and interest in working with law enforcement agencies, as well as Canadian Forces members and veterans. Dr. Campbell has ten years experience teaching university courses in the areas of adult and developmental clinical psychology and psychological distress. She has served as a reviewer for various scholarly journals in the area of psychology and publishing companies have sought her consultation and review of primary research articles and textbooks in the area of abnormal/clinical psychology. During the course of her studies and tenure as a Professor of Psychology she has been involved in numerous studies aimed at understanding depression, stress, and anxiety across the life span. She has numerous scholarly publications in these areas and has presented her work at professional conferences and in the community. Dr. David R. Fairweather received his Ph.D. in clinical psychology from the University of Ottawa in 1996. Over the course of his graduate studies, he published a number of papers in the area of psychotherapy process research. His doctoral thesis, which focused on how exemplary, distinguished therapists facilitate positive client changes in psychotherapy sessions, was nominated for the Governor General’s Award, as well as a National Distinguished Dissertation Award. From 1996 until 2006, he worked as a psychologist and supervising psychologist within the federal correctional system. He also has taught child development at the university level, and has co-authored and presented additional publications in the areas of psychotherapy research, social skills, and violence/risk assessment. Dr. David R. Fairweather has been in private practice in Nanaimo since 1998. He has extensive experience and a particular interest in working with depression, anxiety, posttraumatic stress disorder (PTSD), injured workers, law enforcement agencies, Canadian Forces members and veterans, and vocational/career issues. Dr. Fairweather specializes in the area of forensic assessment including personal injury, trauma, as well as violence/risk assessment. He also specializes in providing EFT (Emotionally Focused Therapy) to couples and families, and more recently has also served extensively as a certified EFT trainer and supervisor to other mental health professionals. His evidence-based therapeutic approach emphasizes cognitive-behavioural, emotionally-focused, and experiential elements, with a goal to help clients to better understand the situations and times in their lives where they feel stuck, discontented, and unfulfilled, and to help them discover new choices, potentials, and ways-of-being to enhance their level of enjoyment and life satisfaction. He has been qualified as an expert witness in a variety of areas including clinical psychology, forensic psychology, psychological assessment, and risk assessment. 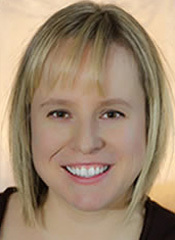 Dr. O’Neill received her Ph.D. in Clinical Psychology from Drexel University (formerly MCP Hahnemann University) in Philadelphia, PA in 2001 including completing anxiety disorders training at the Center for Treatment and Study of Anxiety at the University of Pennsylvania under the supervision of Dr. Edna Foa. She also completed a two year Canadian Institutes of Health Research (CIHR) post-doctoral position at the University of British Columbia where she learned specialized therapies for Obsessive Compulsive Disorder under the supervision of Dr. Jack Rachman. Dr. O’Neill has over eight years experience teaching university courses in the areas of clinical psychology, psychopathology, introductory psychology, and research methods. She serves as a reviewer for several scholarly journals in the area of anxiety and related disorders and continues to actively publish scholarly articles related to Posttraumatic Stress Disorder and Obsessive Compulsive Disorder. Presently she works as a Professor of Psychology teaching psychology at the university level and maintains an active interest in anxiety and related disorders research through her Fear and Anxiety Lab at the university. She is currently working with undergraduate students in her research lab examining PTSD in individuals who have experienced a motor vehicle accident. Dr. O’Neill and her students present their research findings annually at the Association of Cognitive and Behavioral Therapies conference. Most individuals can expect significant symptom reduction in 12 sessions or less. Dr. O’Neill focuses her practice on working with adults. In addition, she specializes in providing personal injury assessments and related treatment for injured workers, first responders, law enforcement personnel, and Canadian Forces members and veterans. She co-authored a book with Dr. Bill Koch aimed at guiding practitioners in conducting such medical legal assessments. Dr. de Faye received her Ph.D. in Clinical Psychology from the University of Ottawa in 2002. Her doctoral thesis, which looked at how patients with advanced cancer coped with the many stressors associated with their diagnosis, was supported in part by a Canadian Palliative Care Association/CIHR Postdoctoral Fellowship Award. After graduation Dr. de Faye worked in private practice in Ontario providing psychotherapy and assessment services for adults. Her areas of practice are clinical and rehabilitation psychology with a particular interest in chronic pain and the issues (stress, anxiety disorders, depression and PTSD) that often accompany chronic pain. Dr. de Faye also offers the Cognitive Behavioural Therapy (CBT) approach for the treatment of insomnia. An additional area of interest is in assisting in adjustment to the change and uncertainty associated with serious physical illness and its treatment. Dr. de Faye’s approach to therapy includes cognitive-behavioral techniques, EMDR, hypnosis, imagery and relaxation training. Dr. de Faye is also a registered Pain and Disability Program (PDP) provider. For more information, please click on the Pain and Disability Program. Dr. Wilkinson completed her Ph.D. in Psychology in 1987 from the University of Victoria, both her Master's and Doctoral degree programmes being in neuropsychology. She is Board Certified with the American Board of Professional Psychology in Clinical Neuropsychology. With respect to occupational history, she worked as a neuropsychologist in mental health, taught undergraduate psychology, then in 1988 was temporary neuropsychologist at the UBC Hospital Alzheimer’s Clinic. For 12 years, from 1988 to 2000, she was the neuropsychologist to the UBC Hospital Head Injury Assessment Program, half-time, until the Program's closure. From 1995-2000 she taught and supervised the Neuropsychology Rotation for the psychology students’ post-doctoral internship at University of British Columbia Hospital. She was also consultant neuropsychologist to the WCB Head Injury Unit one day a week for ten years, from 1989, until resigning in 1999. She was a Clinical Assistant Professor in the Department of Psychiatry for ten years, and an Associate Member of the Division of Neurology, Faculty of Medicine, UBC. She conducted the general neuropsychological consultation service from UBC Hospital, with referrals mainly from neurologists, neuropsychiatrists and psychiatrists from 1997 to 2000. She was part-time neuropsychologist to the Acquired Brain Injury Unit, G. F. Strong rehabilitation Centre, from May 2000 to June 2002. Throughout that time she was also in private practice as a neuropsychologist in Vancouver, in the Fairmont Medical Building from 1992 to the present. At present, she restricts her private practice to assessments and consultations in the field of neuropsychology, mainly for brain trauma or suspected brain trauma patients, and other neurological disease such as stroke, multiple sclerosis, tumour etc. ; and vocational-neuropsychological assessments [the latter on Vancouver Island at Campbell & Fairweather Psychology Group]. She usually carries out three assessments weekly, with additional consultations and document reviews. Referrals are from lawyers, insurance companies, Workers’ Compensation Appeal Tribunal, Veterans’ Affairs Canada, Provincial Government programmes, rehabilitation companies, and specialist physicians. Dr. McKerracher received her Ph.D. in Educational Psychology from the University of California, Berkeley in 2014. Over the course of her graduate studies, she has published and presented extensively on cognitive development and psychoeducational assessment. Dr. McKerracher’s graduate studies were supported by several grants and fellowships, including the Social Sciences and Humanities Research Council of Canada Doctoral Fellowship. To inform her work in private practice, Dr. McKerracher has spent several years working in public and private schools in Canada and the United States. She holds general and special education teaching credentials, is a licensed early childhood educator, and has worked as a school psychologist. She has also completed additional training in the areas of neuropsychological assessment and applied behaviour analysis. Dr. McKerracher draws from her experience in the education system as she completes psychoeducational assessments. Her assessments are informed by the most up-to-date theory and research in the areas of cognitive and socio-emotional development, ensuring that diagnoses and conclusions are based on best practices in the field. Most importantly, she strives to provide teachers and parents with strategies and recommendations based on each child’s unique patterns of strengths and weaknesses. With an in-depth psychoeducational evaluation and tailored intervention recommendations, Dr. McKerracher can help teachers and parents maximize each child’s potential. Dr. Poyner-Del Vento earned his Ph.D. in Clinical Psychology from Simon Fraser University in 2013; his area of study was couples and family psychology. Prior to attending SFU, he was enrolled at Fordham University in New York City, attained a master’s degree in Childhood Education, and taught second grade in the South Bronx. His dissertation at SFU focused on how couples and families collectively cope with stressful circumstances by supporting each other, and how depression or stress can impact intimate relationships over time. During the following two years, he completed specialized training at the Portland VA Medical Center in Oregon and the Charleston VA Medical Center in South Carolina. While in the VA system, he worked with military veterans suffering from PTSD, depression, anxiety, chronic pain, substance abuse, and issues resulting from changes in the brain (e.g., traumatic brain injury, dementia). He also worked with couples and families experiencing relationship distress, parents facing challenges relating to their children, and caregivers of family members with chronic or terminal illnesses. He has published his scholarly work in psychological journals and presented at several psychology conferences across North America. Dr. Poyner-Del Vento brings to the group practice his expertise in evidence-based psychotherapy. He works extensively with individuals who have experienced stressful or traumatic events, including Canadian military veterans, RCMP officers, first responders, and survivors of motor-vehicle accidents or assault. He offers evidence-based psychotherapy for PTSD, including Prolonged Exposure Therapy (PE) and Cognitive Processing Therapy (CPT). He also offers cognitive-behavioral therapy (CBT) for other mental health challenges, including depression, anxiety, chronic pain, and/or substance abuse. In addition to individual therapy, Dr. Poyner-Del Vento offers Emotionally Focused Couples Therapy (EFT) for common causes of relationship distress (e.g., communication problems, infidelity, difficulties with physical intimacy). He also offers family therapy for parent-teen relationship challenges, Parent-Child Interaction Therapy (PCIT) for families with younger children, and individual therapy for caregiver burden. In terms of assessment, Dr. Poyner-Del Vento provides psychological assessments (including medical-legal assessments) to individuals adjusting to a physical- or stress-related injury. He also provides neuropsychological assessments for individuals presenting with problems with attention, memory, or executive functioning following a recent traumatic brain injury or major change in the brain (e.g., dementia or stroke). Dr. Georgina Maltby is a Registered Psychologist, holding a MA/PhD in Counselling Psychology from the University of British Columbia (UBC), and a Bachelor of Science in Nursing degree from McMaster University. At UBC, her Masters thesis investigated the associations between adult attachment, perfectionism, social support, and disordered eating. This research received the APA Counselling Psychology research award. Dr. Maltby’s doctoral dissertation, provided a qualitative description and in-depth understanding of the experience of long-term recovery from an eating disorder, and was supported by a University Graduate Fellowship award. Dr. Maltby has previously worked as a Psychologist at the University of British Columbia and Chico State University California Counselling centres. Here she provided crisis assessment and counselling to university students for performance anxiety related to athletics and academics as well as personal issues, and supervised Master’s trainees. While in California, Dr. Maltby worked as a Licensed Psychologist in private practice, and conducted Psychological Assessments on behalf of disability applicants. In addition, she has eight years of experience as a Lecturer in the Psychology Department at Chico State University. Her courses included; the Psychology of Prejudice, Hate, and Violence and Developmental Wellness: Positive Psychology and the Science of Happiness. In addition to psychotherapy, Dr. Maltby provides psychological assessments, related to various clinical concerns including, for example, injured workers and individuals in career transitions. She utilizes evidence-based therapies that include cognitive-behavioral, emotionally focused, narrative, and mindfulness based approaches, as well as experiential therapeutic interventions. Along with individualized assessment, Dr. Maltby considers the context within which her clients are situated, and explores ways to influence this aspect to improve psychological, social, and physical well-being. Her clinical emphasis is on integrating caring and expertise in the understanding and treatment of her clients’ difficulties, to facilitate positive coping, and to increase clients’ awareness of their own strengths. Dr. Rombough received her Ph.D. in clinical psychology from Simon Fraser University in 2014; her area of study was developmental psychology. Originally from Nanaimo, she developed an early interest in supporting and learning from individuals with developmental differences. She worked as an autism respite provider and behavioural therapist during her undergraduate degree at the University of British Columbia. During her graduate degrees at SFU, she published and presented extensively on autism and developmental disorders. Her graduate research on social skills in autism was supported by many grants and fellowships such as the prestigious Banting & Best Doctoral Fellowship from the Canadian Institutes for Health Research (CIHR). She was also a research fellow with the Autism Research Training Program Initiative based out of McGill University. Dr. Rombough completed her clinical residency in Kingston Ontario at the Queens University affiliated Kingston Internship Consortium. There, she received specialized training in the identification and management of neuro-developmental disabilities across the lifespan. Prior to joining Campbell & Fairweather, Dr. Rombough worked in private practice in Vancouver. She provided psychological services to Sunny Hill Health Centre (a BC Children’s Hospital site), Community Living BC, private autism service centres, and private clients. Dr. Rombough brings her lifespan-based understanding of developmental disorders to the group practice. She provides psycho-diagnostic and psycho-educational assessments for Autism Spectrum Disorders, ADHD, Intellectual Disabilities, Learning Disabilities, FASD, and complex neurodevelopmental disorders. She takes a comprehensive and multi-disciplinary approach, recognizing the importance of gathering all relevant information before giving a diagnosis. Dr. Rombough also takes a lifespan approach to her work, striving to understand a client’s needs within the context of their past experiences, current life circumstances, and future goals. She aims to pinpoint causes of difficulties and make specific recommendations that build upon a client’s strengths. In addition to assessment, Dr. Rombough offers Cognitive Behavioural Therapy based interventions for clients with developmental differences and their families. She provides support and treatment for depression, anxiety, self-regulation problems, and challenging behavior. With a warm and approachable clinical style, Adrienne uses her extensive experience to support each client’s growth, learning and happiness. 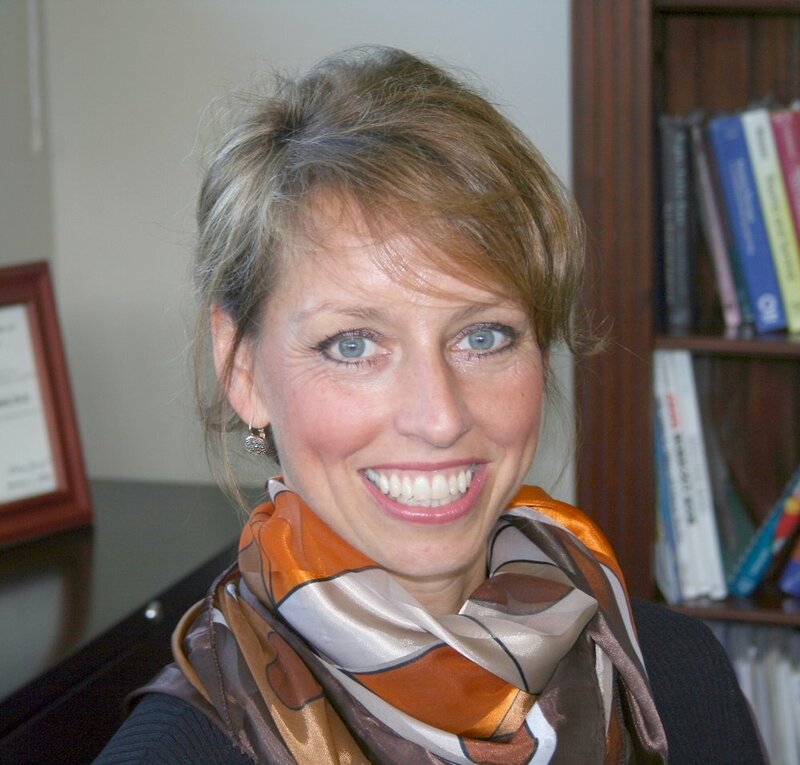 Dr. Watt received her Ph.D. in Clinical Psychology from the University of Ottawa in 1996. Her doctoral dissertation, which examined the efficacy of reminiscence therapy in the treatment of depression in geriatric populations, was supported by the Social Sciences and Humanities Research Council of Canada. Over the course of her career she has published in the areas of rehabilitation and neuropsychology. Dr. Watt has worked in neurological, psychiatric and rehabilitation hospitals in several Canadian provinces and states in the USA. She utilizes evidence-based cognitive-behavioural, schema-focused, interpersonal, experiential, solution-focused and short-term dynamic interventions to assist individuals with difficulties with depression, anxiety, trauma, PTSD, dissociative and conversion disorder. Dr. Watt also has extensive training and experience in neuropsychology which assesses the relationship between the brain and behavior. She has worked with many neurological populations including Traumatic Brain Injury, Stroke, various forms of Dementia, Parkinson’s Disease, Multiple Sclerosis and Epilepsy. She also provides recommendations for these populations regarding accommodations for individuals returning to work and school. As well she provides assessment and recommendations regarding safety to drive, competency to make medical and financial decisions and supervision needs. Dr. Watt also has experience with assessment of neuropsychological and emotional difficulties experienced by individuals involved in personal injury, Worker’s Compensation and Disability Benefits cases. She has extensive experience with providing depositions in medical-legal cases. 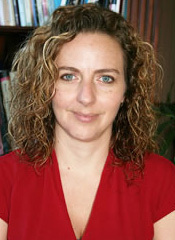 Dr. Macon received a joint PhD from the University of Calgary (Clinical Psychology) and the Université de Toulouse (Neurosciences) and is trained in a number of scientifically-supported treatments such as Cognitive Behaviour Therapy, Mindfulness, Dialectical Behaviour Therapy, Emotionally Focused Therapy, Schema Therapy, Prolonged Exposure, and Cognitive Processing Therapy. Charmaine enjoys working with a diverse range of people and emphasizes the importance of customizing treatment to each client’s specific mental health needs. Charmaine also regularly teaches university courses in psychopathology and has published depression and PTSD research in a number of academic journals. Dr. Alena Talbot Ellis has diverse experience working in hospital, community mental health, and private practice settings. Through these experiences, she has gained a strong base of knowledge in research-supported clinical practices. She considers it a privilege to support her clients in improving their overall well-being and quality of life. Dr. Talbot Ellis provides psychoeducational assessments for children and adolescents to better understand potential underpinnings of learning or behavioural challenges. She works to provide tailored recommendations to improve functioning in the home and school environment. Dr. Connolly-Zubot received her M.Sc. in Counselling Psychology and Ph.D. in Counselling Psychology from Trinity College Dublin. Her clinical background involves working with adults with mental health and physical health comorbidities, depression, anxiety, adjustment disorders, posttraumatic stress disorder (PTSD), complex trauma, and interpersonal difficulties. Dr. Connolly-Zubot has extensive training and experience working with individuals with medical conditions including cancer and chronic pain. She has lectured at the postgraduate level, supervised research, presented research internationally and produced a number of publications. She has supervised doctoral trainees in clinical supervision, and is a certified trainer in emotion-focused therapy. For Dr. Connolly-Zubot, it is important to tailor to clients needs while maintaining an evidence-based approach. She primarily employs a cognitive behaviour therapy or emotion-focused therapy approach to address clients presenting problems, and also integrates experiential approaches and schema therapy. Dr. Connolly-Zubot has a warm and genuine style and maintains a validating, collaborative stance in her treatment. As a psychologist her goal is to help clients enhance their personal set of coping skills to improve their quality of life. Ira Whyte received his education in psychology in Alberta and California, and with a degree in visual arts as well, his graduate thesis focused on the role of creative expression in men’s self-development during therapy. Since then, he has two decades experience in psychotherapy practice. His counselling approach integrates empirically validated methods such as Cognitive Behavioural Therapy (CBT) with techniques derived from Solution Focused, Narrative, and Experiential schools of therapy. Ira has extensive work experience providing psychotherapy, assessment, and healthcare services within a variety of settings. For example, he previously worked at an oncology hospital, The Cross Cancer Institute, in Alberta where he counselled cancer patients, survivors and their families. He also spent many years providing comprehensive psychoeducational assessments, counselling, and consultation to children and adolescents in schools throughout Alberta. More recently, he worked for several years at the Glenrose Rehabilitation Hospital in Edmonton as part of a multi-disciplinary team providing psychotherapeutic intervention and treatment for most forms of childhood mental health disorders to children and adolescents as well as their families. At the Royal Alexandra Hospital children’s inpatient psychiatric units, he also performed psychoeducational assessments. Furthermore, he has supervised senior psychiatric residents, and masters level students in the areas of counselling and psychoeducational assessment skills. Over his years of clinical practice, Ira has earned a strong reputation in counselling and assessing children, adolescents, and young adults. Also noteworthy are his training, skills, interests, and experience working with clients of all ages with a wide range of needs. Ira looks forward to serving clients in the Nanaimo community, providing counselling and assessments to individuals of all ages. Dylan Payne, Registered Psychologist, has gained a wide range of clinical experience over the years, in the areas of psychological treatment/therapy and assessment, through his extensive service in diverse settings including psychiatric hospitals; in-hospital mental health and addiction services; residential care homes for youths with developmental delays; as well as correctional facilities. Dylan works with adults, children, and adolescents. In his past work with younger clients, he has assisted children and teens in dealing with and overcoming a wide array of problems including: low self-esteem, anger management, difficulties adjusting to change, and difficulties managing symptoms of disorders such as anxiety, depression, and ADHD. In his previous work with adults in hospital outpatient settings, he has worked extensively with adults struggling with a number of mental health diagnoses including: anxiety disorders (ex: OCD, PTSD, GAD), depression, bipolar disorder, and schizophrenia. He has also assisted adult clients with other mental health concerns related to: unresolved trauma, sexual abuse, stress management, anger management, relationship problems, life transitions, grief and loss, spiritual emergency, and gender identity. In his past experience in psychiatric hospitals, he has helped individuals to create relapse prevention plans and manage symptoms of psychosis related to bipolar disorder and schizophrenia. In addition to his therapeutic and assessment work, Dylan also has experience working and conducting research in the field of addictions. As a result of this work, he is familiar with the 12 Step Program as well as other models of treatment, and is able to readily apply his knowledge and understanding of the addiction cycle to his work with individuals coping with alcohol use issues and those struggling with other sorts of substance-related problems as well. While primarily trained in Cognitive Behavioural Therapy (CBT) as well as Dialectical Behavioural Therapy (DBT), Dylan often draws on Humanistic and Solution Focused concepts and techniques in his work. While staying current with respect to empirically validated treatments and recommendations for "best practices," Dylan also flexibly tailors his approach to the uniqueness of particular clinical situations as well as the needs of the specific individuals with whom he is working. Faith Leather works with adults of all ages and backgrounds, tailoring her approach to best fit each client’s needs. She does both individual and couples (marital/relationship distress) work drawing from therapy styles with proven success, such as Emotionally Focused and Cognitive Behavioural Therapy. Faith specializes in the areas of depression, trauma, relationship issues (Couples or Individuals), issues stemming from childhood/upbringing, anxiety, abuse, personality & self-esteem, and health & well-being concerns (e.g. addictions, activity level, diet). She is also a licensed provider of services to various organizations, such as those for people of First Nations descent and victims of crime. She also holds seminars and workshops for various community organizations. Faith received her Master’s degree in Clinical Psychology from York University where she also completed two years of the PhD programme. In addition to her clinical work, Faith has taught in the Psychology departments at York University & Vancouver Island University (formerly Malaspina University-College). She has also worked on several large research projects, including the Mood Assessment Project and the Community Outreach & Heart Health Risk-Reduction Trial. In 2004, she received a Canadian Institutes of Health Research Award for her work in the area of depression and personality. She also co-authored a paper in this area that was published in the Journal of Clinical Psychology. Linda McAuley specializes in the areas of treatment of anxiety and depression, grief and loss, workplace difficulties, stress, marital issues, family conflict and parent-child issues. It is her experience that clients often know the solutions to their difficulties but can benefit from having a safe place to facilitate the process of finding answers. She likes to focus on strengths and learn from successes. She is also a believer in the mediation approach as an excellent method to resolve interpersonal conflict in a way that builds relationships. Linda has worked for many years with Employee Assistance Programs (EAP) and is familiar with short term models of treatment. She is also well-versed in the Cognitive Behavioral Therapy (CBT) approach. Linda McAuley completed her Master’s Degree in Clinical Psychology from Lakehead University in Thunder Bay, Ontario. She worked for a number of years in Alberta and is a registered psychologist in the Province of Alberta. Since coming to British Columbia about 12 years ago, she has worked in the Mental Health field for the BC Government as well as a private practitioner primarily working with Employee Assistance programs. Linda is a Registered Clinical Counsellor and has completed a certificate in Family Mediation from the Justice Institute. Linda is also certified in the Triple-P parenting approach (a well-recognized parenting program developed in Australia). Cheryl specializes in helping individual adults struggling with stress, depression, anxiety, low self-esteem, relationship issues, coping with trauma (recent and past), operational stress injuries, and life transitions, including those related to work, family, relationships, grief, and loss. Cheryl adapts her therapeutic approach to match clients’ unique circumstances, preferences, and related needs by using a variety of therapy models including, for example, Cognitive Behavioural Therapy, Brief Solution Focused Therapy, and Eye Movement Desensitization and Reprocessing Therapy. Cheryl has also completed advanced training in Emotionally Focused Therapy to better serve clients in relationship distress. She has extensive experience helping clients with their concerns in a brief number of sessions and is a registered provider with a number of organizations including various employment and insurance agencies and the Crime Victim Assistance Program. She is also an endorsed clinician for the BC Professional Fire Fighters Association. Cheryl received a Master of Counselling degree jointly from the University of Calgary, University of Lethbridge, and Athabasca University, and received the convocation award for having the highest grade point average. Aligned with her counselling philosophy, Cheryl’s research has included identifying counselling processes that foster greater client and counsellor collaboration, promote client’s strengths and expertise, and increase the likelihood of successful outcomes. She also completed a study examining the optimal treatment of depression in the greater Nanaimo area that she presented at the 2006 Annual Convention of the Canadian Psychological Association. She has been working in private practice since 2008 with Campbell & Fairweather Psychology Group.